Part of leadership is making the call. Decision making is inevitable. When you don’t make decisions, there are repercussions. Making a calculated risk is better than not making any. You miss 100% of the shots you don’t take. This would be on the top of the list. Obviously, I am not omniscient. I can’t see the end from the beginning. But I know He does. So getting wisdom from Him would be a good idea, don’t you think so? Listing down the positives and the negatives will be necessary. You don’t want to dive into a decision without knowing the consequences of either options. You may not see all the pros and cons (which is why #1 is important) but you need to do your best to find them out. I’ve always said that I can’t work without a team. How come? I know that I don’t have the monopoly of all the ideas. I do have blind spots. So do you. You’ll need to ask people’s guidance, advice, experience on the matter you’re facing to help you make an intelligent decision. 4. Once you’ve made a decision in your mind, figure out how to communicate it. This is where a lot of people make a mistake. They decide and it doesn’t matter what happens, who gets hurt or how the pieces land. As long as I’ve made the decision, then that’s it! Wrong. You have got to navigate through certain circumstances, emotions, issues and possible consequences. I try to rehearse in my mind and sometimes even aloud how I will communicate the decisions I’ve made and pre-empt the question “why”. When I’ve done all these, I go for it. With much prayer, after doing my homework and seeking counsel, I go for it. Sometimes, delaying things make things worse. 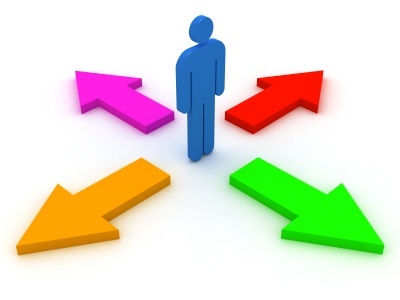 An indecision is actually a decision – to not do it at the time when it’s best to do it.